Last night in San Francisco, EA showed me five minutes of live gameplay of Crysis 3. The level they arrowed, nanopunched, and cloaked their way through takes place about a third of the way through the game, in an area formerly known as Chinatown in New York City—you can see footage from the demo I saw in today's Crysis 3 trailer . From that brief demo, here's nine notes and impressions I made. You're Prophet. Yes, the Prophet that killed himself. Crytek, of course, didn't make clear how Prophet survived his very real suicide in Crysis 2 (“Nanosuit magic” is the likely medical explanation), but he's the playable character. The mission we saw had Prophet en route to save Psycho (Crysis Warhead's protagonist), who was being held underground, presumably by CELL. It's still set in NYC. The year: 2047, 20 years after the end of Crysis 2. ...but Crytek is using an absurd plot device in order to make new environments. IGN's Mitch Dyer made this observation while we were talking after the demo last night. In order to remove the Ceph spores still circulating in New York's air, CELL erected “nanodomes” in the city itself, sphered-off greenhouses that hyper-accelerate the plant growth within them. It's a ridiculous premise, but Crytek says that these terraformed zones let them modularly make savannah, canyon, swamp, and other environments. It's unclear how sandboxy Crysis 3 will be. Crytek and EA's big, read-off-a-teleprompter marketing line was “adaptive sandbox gameplay” last night, but the demo I saw didn't showcase any true openess. Perhaps it wasn't long enough to do so, but there's no reason yet for me to believe that Crysis 3 will allow any of the wandering, boat-stealing, or getting lost that the original offered. Structurally, what I saw felt like Crysis 2—urban in its scale and structure. Weapons are more over-the-top. This was a high point. Your compound, auto-loading superbow can equip shock (stun) or explosive warheads. One long-range bow kill used a behind-the-arrow camera. At the very least, Crysis 3 will be a game with a gun that shoots 500 rounds a second (the "Typhoon"). A Heavy Mortar tore up a Ceph Devastator with plasma grenades and plasma missiles, splashing neon blue all up the street. Prophet can use Ceph weaponry (“It's a little like District 9,” Crytek said), but a disadvantage to the alien arms will be that fresh ammo for them can't be picked up. Once they're drained of ammunition, you throw them away. You'll fight many of the same Ceph. The 5-minute demo I saw mostly featured familiar enemies: Ceph Devastators, a Ceph Pinger, a dropship, and plenty of Ceph Grunts. And though they were too busy being killed by the aforementioned aliens to fight back, Crytek indicated that CELL soldiers would be another enemy. ...but some new ones. 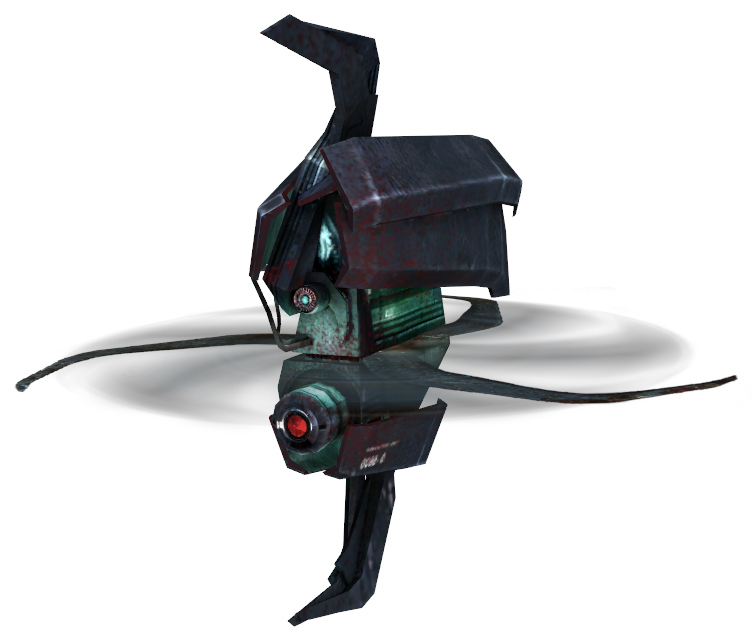 I saw the Ceph Scorcher, a slithering, metallic creature with a flat, fin-shaped head that could pop up on four legs (it's the first quadrepedal creature in the CryEngine) to spit lines of fire, and Seekers—hovering, unarmed probes (roughly the size of a Manhack ) that scan with a searchlight and deactivate your cloak if they spot you. You can hack stuff. Hacking is the only new Nanosuit ability that's been revealed. From what was demonstrated, it's a one-button mechanic for making enemy devices fight for you. From the second floor of a faceless office building, Prophet moused over a tall turret and activated a hack. A progress bar filled. The turret opened fire on nearby Ceph, and Prophet sprinted along toward his objective. DX11 at launch. Crytek Senior Creative Director Rasmus Højengaard confirmed to me that DX11 will be in at launch. He was less concrete about what graphics options Crysis 3 will make available. (At launch, Crysis 2 offered four measly settings to adjust at launch: resolution, v-sync, HUD bobbing, and one of three pre-defined quality settings).